Spend longer in Tropical North Queensland and stay overnight in the tropical jungle before or after your Ocean Safari Great Barrier Reef trip. 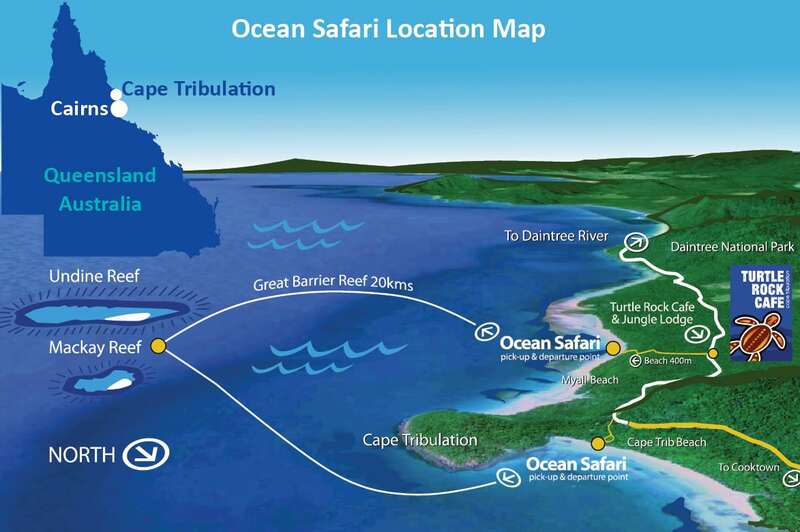 Located onsite at Safari Lodge (previously known as Jungle Lodge), Ocean Safari offers the ultimate reef and rainforest adventure. 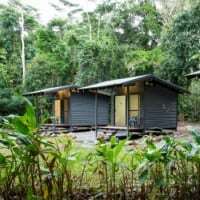 The Reef ‘n Rainforest packages include king, twin or quad Safari Lodge accommodation and an Ocean Safari Great Barrier Reef trip, allowing for an overall Daintree experience. 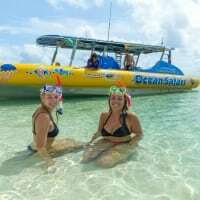 The Ocean Safari tour visits two different snorkel destinations, each with an extraordinary array of marine life, turtles and coral species. 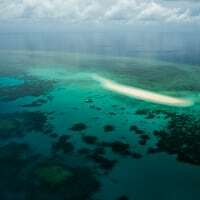 The serenity and clarity of the Great Barrier Reef off Cape Tribulation offers some of the most incredible underwater viewing ever experienced, in a remote region relatively untouched by man. 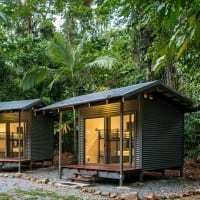 Far away from the stresses of city life, the Safari Lodge sits happily between two world heritage areas, the stunning Great Barrier Reef and the tropical Daintree Rainforest. Sleep in the jungle and enjoy the sounds of the rainforest at night, or rise early to experience the sunrise over beautiful Myall Beach only minutes away. Experience the region without the crowds. Safari Lodge offers affordable eco huts known as Safari Huts – quad share, twin, single or dorm – as well as camp sites in the tropical rainforest, close to the beach, restaurants and water holes. Onsite facilities include a swimming pool, camp kitchen, toilets and showers and a laundry. 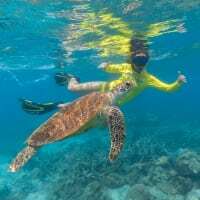 Safari Lodge is located onsite at the Ocean Safari Great Barrier Reef trip check in office, which is also home to the Turtle Rock Café. Adult: $214 king, $194 twin share, $184 quad share.